Key Difference: IFRS stands for International Financial Reporting Standards. It was developed by an independent, not-for-profit organization called the International Accounting Standards Board (IASB). The Indian GAAP is another accounting standard. GAAP stands for Generally Accepted Accounting Principles and is the way that most Indian Companies are required to report their accounts. IFRS and Indian GAAP are two different accounting standards and they can be quite confusing for someone who is not familiar with. 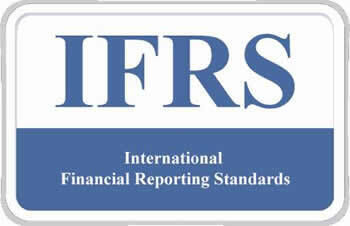 The IFRS stands for International Financial Reporting Standards. It was developed by an independent, not-for-profit organization called the International Accounting Standards Board (IASB). The IFRS came out as a need for an internationally accepted reporting standard. As indicated by its name, it is the internationally accepted reporting standards for accounting. It is currently accepted in over 110 countries, and more and more countries are planning to adopt it in order to compete on a more global level. This will also make things a lot easier for multinational companies who have to currently report their account in different formats to different regulatory agencies, as each agency has their own preferred format. The Indian GAAP is another accounting standard. GAAP stands for Generally Accepted Accounting Principles and is the way that most Indian Companies are required to report their accounts. 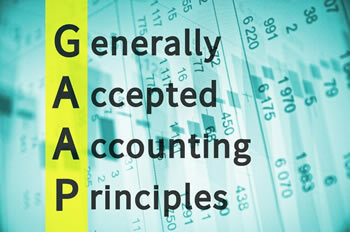 There are no universally accepted GAAP; instead they differ from region to region. Hence, India has its own GAAP, while US or UK have their own. India will soon be converging with to IFRS and Indian IFRS standards, which is known as Ind AS. This is IFRS that are adopted specifically for use for Indian standards and companies. This should help India have a better presence in the global market as multi-national companies having a foot in India will be required to submit their accounts in two ways. In extremely rare circumstances the true and fair override is allowed. Assets and liabilities are translated at the exchange rate at the balance sheet date when the financial statements are presented in a currency other than the functional currency. No concept of functional or presentation currency. Uses historical cost, but property, plant and equipment may be revalued to fair value. Revenue is measured by the charges made to the customers or clients for goods supplied or services rendered by them and by the charges and rewards arising from the use of resources by them. Depreciation is based on useful life. Major repairs and overhaul expenditure are capitalized as replacement under certain conditions. Major repair and overhaul expenditure are treated as expenses. All intangible assets are amortized over useful life with a rebuttable presumption of not exceeding 10 years.